For your restaurant to blossom, it’s important that you have a great looking website and it will surely reflect directly on your business, if you do it right. Doing it right doesn’t necessarily mean hiring a professional web designer and paying a lot of cash for someone else to create your website. You can actually do it all by yourself, even if you have no coding experience. In case you own a restaurant with a specific cuisine – let’s say Italian, what you need is a theme made especially for your restaurant niche. 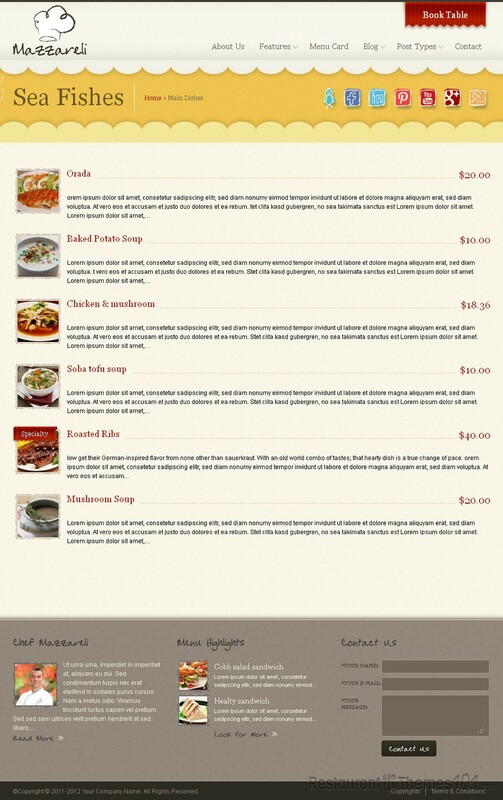 Mazzareli is a WordPress Italian restaurant theme created by Theme Laboratory and featured on ThemeForest. It looks awesome, it feels even better, and it features all the stuff a great Italian restaurant theme for WordPress should feature. 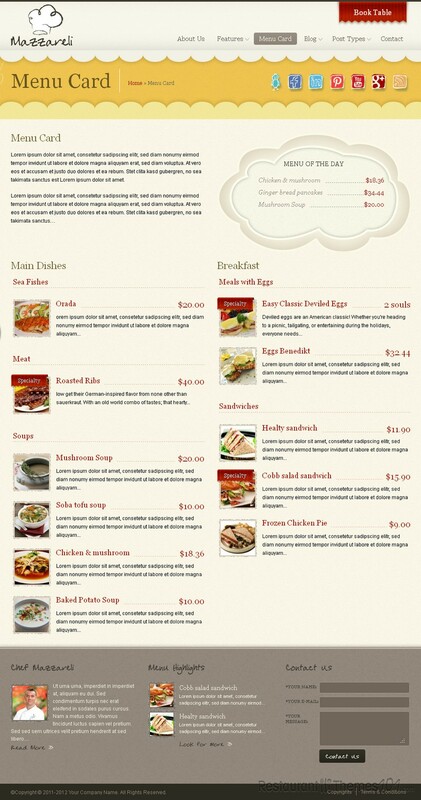 It has a beautiful layout design and it is greatly organized. 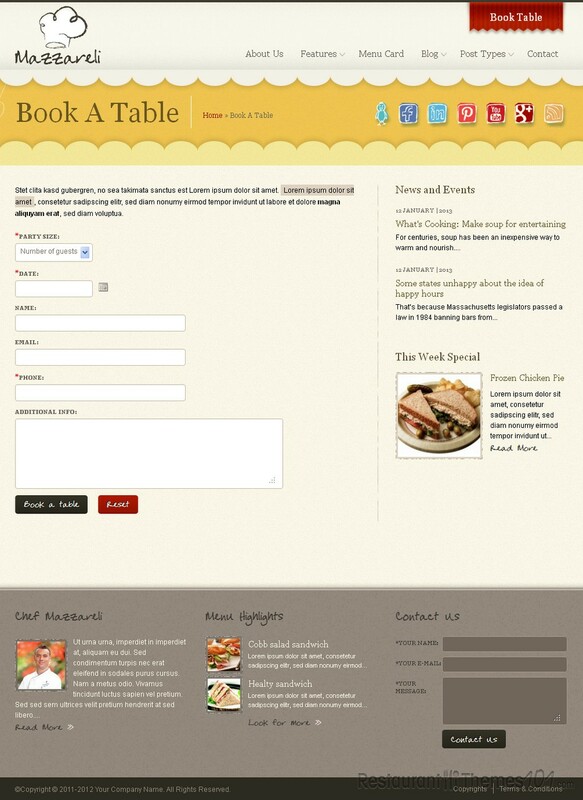 Your culinary business will be presented in a great, professional way and your website will look welcoming and pleasant. The theme will look great on tablets, too. When it comes to theme features, this theme offers many of them. The administration panel is very powerful and it will allow you to run your website easily. There is a great shortcode manager included and several different post types: gallery custom post type, food post type, events post type and testimonials post type. The theme has 7 built in sidebars + unlimited custom defined sidebars; it includes 7 custom widgets and 10 gorgeous color variations you can choose from. It also features a great slider with 3 possible variations of the slider you can choose from, and a great Ajax contact form as a widget. It is also completely localized and translation ready with .PO files included. Mazzareli comes with PSD files included and it will be very easy for you to find your way around and modify anything about the theme. It is great for Italian restaurants, the theme looks very nice and it is very well documented so installing and running it should be no problem at all, even for users who aren’t familiar with web design. 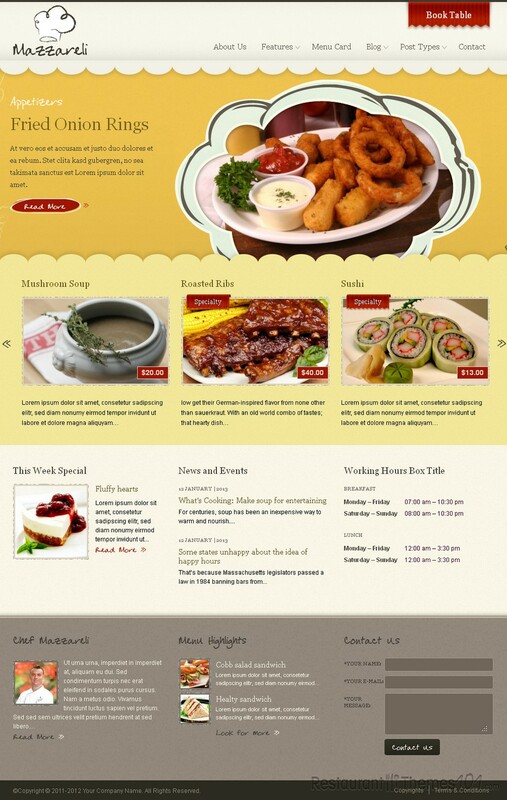 The Mazarelli theme is also available as a HTML template.